Out of all the geysers in Yellowstone National Park, this is by far one of my favorites. It’s a small dome, probably about 10 feet tall (which is very tall, really, for a dome), but it spews a wonderfully unpredictable little geyser – or big geyser – depending on its mood. 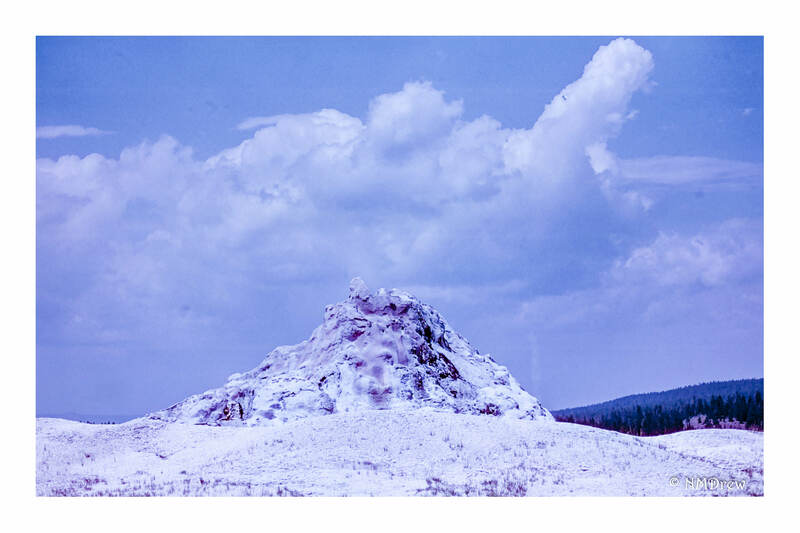 This one is called White Dome – a perfect name for a real beautiful geyser. Taken using an Olympus OM-1n, Oly 35-70mm lens, Cinestill 50 film, and scanned in a Pakon.